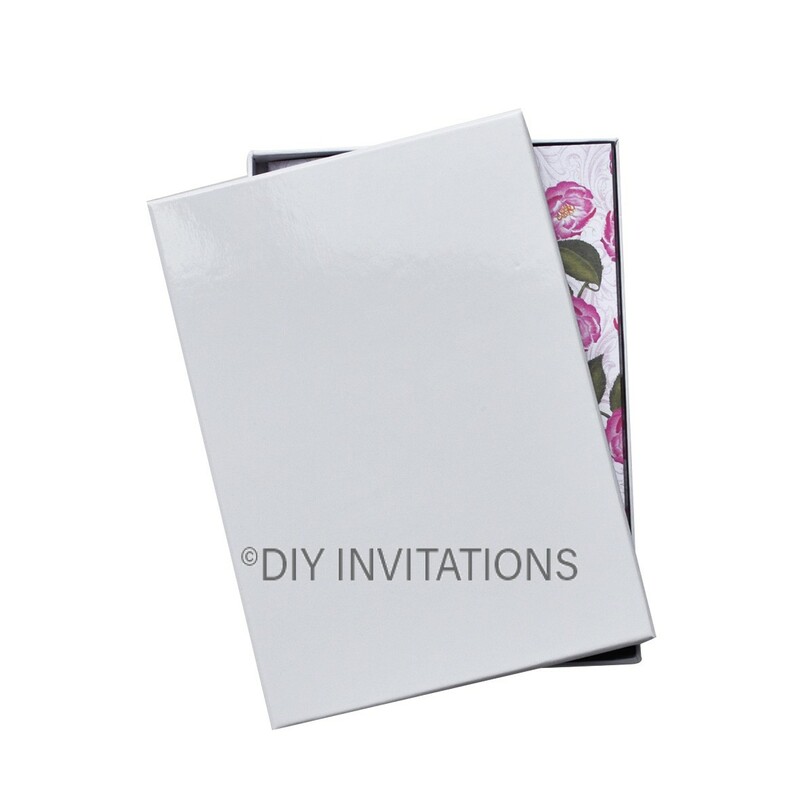 Our Rigid A4 Invitation Box has a gloss white finish to it. It is rigid and suitable to send through the post. Your handmade creation will be well protected and make a high end statement when your guests receive it. This particular box measures 214mm x 301mm x 13 mm internal, so it will fit A4 Paper etc. and is sold in increments of 10.